We have known Bruce for 20 years. We were looking for a home to buy in Indian Wells, went into a Coldwell Banker office and met Bruce. He took us to look at several homes in Desert Horizons, and we bought a home that day. Then after almost 20 years when we were ready to sell, we called him. He came over, looked around our home and said he would sell it. And he did within a very short time. He is a very professional person, very helpful and easy to work with. He has been in the business for a long time, and he really knows the market regarding the value of the homes in the entire area, and that is a big plus. He can answer any questions you may have. This is one good guy! Bruce and his fine team of associates have handled multiple residential real estate transactions for me and my family. When my wife and I decided to sell our gorgeous home in The Reserve, Bruce handled the sale with vigor and enthusiasm. As that property was exclusively built for our family, we were worried that finding the right buyer would be an issue, but through Bruce’s fine marketing strategies and impressive connections with buyers and agents in the luxury market, we were able to have a seamless transaction. After the sale of our Reserve property, Bruce represented us as the Buyer in our purchase of a home at Bighorn Golf Club in Palm Desert. Another seamless transaction occurred! We couldn’t be more pleased (or impressed) with the work Bruce and his team did on our behalf. 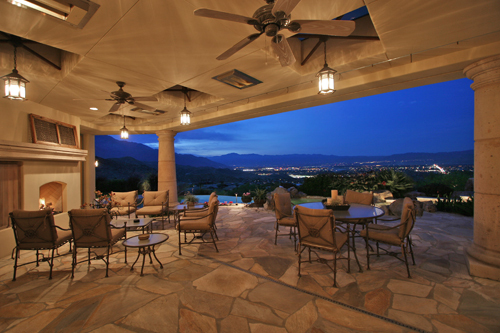 Bruce Blomgren was a pleasure to work with on the sale of my home in the Tradition Golf Club Community of La Quinta. In a tough market, Bruce did a great job of marketing my property, and the whole process was handled in a thorough and businesslike manner from start to finish. Bruce and his team would be my choice to deal with in any residential transactions I have in the future. I have finally found the time to Thank You for all your help with selling my home at Desert Horizons Country Club, which my husband and I bought in September of 1995 from you – almost twenty years ago! Your excellent guidance in suggesting the proper help to “fix” the needed repairs, along with pricing my house correctly, was a BIG help. It was sold! I consider you to be the BEST REALTOR in all of the Desert Valley! To prove that, I received a Thank You Letter from the couple from Canada who bought my home. After buying and selling over 14 homes in five different states, this was the very first thank you letter from the new owners. You are the BEST, A Top No. One! I would certainly recommend your services to anyone! Since we met Bruce nearly ten years ago, he has assisted us in the purchase and sale of five homes in the Palm Springs area. 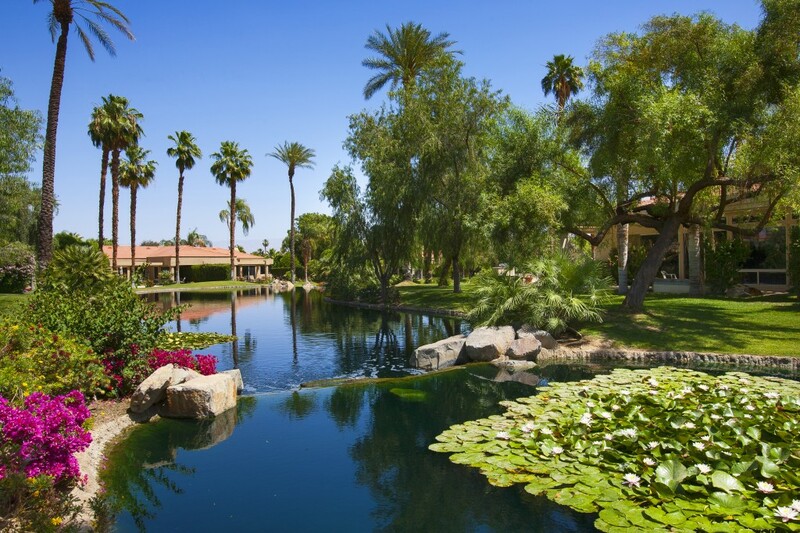 Bruce represented us as both buyers and sellers at the Desert Horizons Country Club and at the Citrus in La Quinta. In our last experience with Bruce, he helped us to find our current desert home at The Reserve. Whether representing us as buyers or sellers, Bruce has always performed in manner that was professional, accurate and most importantly, friendly. Throughout every purchase, Bruce was always extremely knowledgeable and supportive. We would suggest Bruce’s real estate expertise to anyone looking for a professional desert real estate expert. Over the past ten years, Bruce has represented me as both a buyer’s agent and a listing agent in clubs such as Desert Horizons in Indian Wells and Bighorn Golf Club. In my dealings with Bruce, I have always found him to be extremely efficient, approachable and honest. Whether it was helping me to coordinate the purchase of my Bighorn property or simply picking up my mail and forwarding it to me when I was out of town, Bruce has always kept every promise he has made and approached every task, no matter how small, with the highest degree of honesty and professionalism. 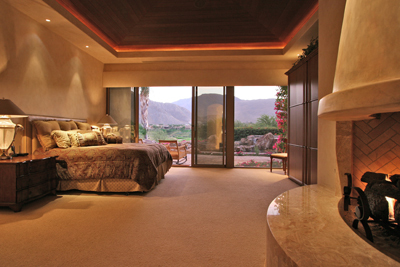 As a custom home builder, I’ve relied for years on Bruce’s thorough knowledge of the desert’s luxury real estate market. Having represented me numerous times as both a buyer and a seller, Bruce continues to impress me as a real estate professional that is “hands-on” and one who genuinely cares about every client and their individual needs throughout the transaction. I would not hesitate to refer Bruce’s services as I consider him to be the most knowledgeable, honest, and hardworking real estate broker in the desert. Marc and I would like to express our appreciation for the fantastic service you provided in our search for a home. As a broker, I am perhaps overcritical, and I must say you exceeded my expectations. As a retired CEO of 2 major corporations, Marc is demanding and recognizes excellent service when he sees it. Among other things, you have always been on-time, reliable, dependable and gave a great deal of attention to detail. The transaction went smoothly because you were on top of things! When it came to the search, you were thorough in exposing the entire market. In fact, there were some properties you showed us in which you would not have been compensated had we purchased them. That is pretty impressive as it showed us that the interests of your clients came before those of your own. When we zeroed in on the community, you kept us up-to-date as to the newest listings. Since we are analytical, we often asked for comps, and you always delivered in a timely manner. You were there for us during every step of the process. We deferred to you as to realistic selling prices because of your extensive knowledge of the market. Because of your expertise, we felt we purchased our house for a good price. The vendors you recommended to do some of the work have been excellent. I am really impressed that you continue to provide us assistance with some of these vendors in our absence well after you have been compensated. That’s a sign of true dedication! We are lucky to have found you and would recommend you highly to any of our friends who will be looking to purchase a house in the area. Thanks for a job well done! Bruce listed our home at Tradition Golf Club in La Quinta in November, and it was put into escrow the following February! Bruce’s vast experience and knowledge of the market was very apparent. We were pleased every step of the way with the manner in which Bruce and his fine team handled our property during the showing process and throughout the escrow process. Bruce is a true professional, and we can see why he is one of the desert’s top-producing agents. It was a pleasure to work with Bruce, and we will be pleased to recommend him in the future. Melinda and I would like to thank you for the fine service we received from you and your team when we sold our property at The Reserve this year. As we were out of the area a great deal, it was comforting to know you were always available to represent us in the showing of our property and to communicate with us on a regular basis. The actual sale was handled with your usual professional care and follow up. We truly appreciate that. Bruce, we realize that your industry depends on the positive word of mouth offered by satisfied clients. Count us among those satisfied clients! Thank you so much for the professional manner in which you handled the sale of my home. Obviously, I was impressed by the way you handled the original listing interview—you got the listing! As time went on, and the showings of the house were made, I became more and more convinced that I had selected the BEST person for the job! After the sale, you were so thorough about helping me complete the paperwork when I was in Colorado. I so appreciated this! The mountain of paperwork associated with any real estate transaction in California is pretty overwhelming to anyone, particularly someone from out of state. I thank you for all your help and rest assured that I would unhesitatingly recommend you to any of my friends that need real estate services. We are writing to thank you for your assistance in selling our Toscana Country Club home. Throughout the process you and your associates were professional and responsive. You did an excellent job of marketing our property, as was evident by the mailers and frequent ads. We especially appreciated the monthly updates on the status of the housing market and how our property was being perceived. In addition, you have a user-friendly website with high impact. We don’t think there is anyone who could have done a better job for us. I’d like to thank you for handling the sale of my parents’ condo at the Marrakesh Country Club in Palm Desert. You provided the same outstanding service with this relatively small sale, as you did when you represented me in the purchase of my Bighorn Golf Club, as well as the sale of my Bighorn property. It’s a pleasure to be represented by a Realtor whom you can trust and count on to handle either a purchase or a sale! I counted on your experience, and I was not disappointed. You’re a man of your word, and I truly appreciate your professionalism. We had been talking to Bruce for almost a year before we decided to list our property in Desert Horizons Country Club. Knowing that he and his team are known for their impressive history of buyer and seller representation within our community, it only made common sense to list with the local expert. Our transaction was a breeze, and Bruce and his team were always either available or quick to respond to calls and messages when we had any questions. We highly recommend working with Blomgren & Associates on your next desert real estate transaction. I had to write to let you know how very much I appreciate the fact that you and your team made the selling of my desert property such an easy and seamless transaction. Since I had already moved out of California, I thought I would surely need to return at some point to attend to details. I was wrong! You took complete charge but kept me advised. I especially appreciate the fact that you kept me informed and in the loop regarding the necessary paperwork during the Due Diligence period! Right from the beginning, you suggested changes to increase the chances of a sale. We added some additional landscaping for privacy, and you even recommended the very qualified landscaper to provide the work. When a few repairs were required, you utilized your resources to have the repairs completed. Your office even called my Home Warranty Service and waited for them to come out to do some required repairs. I didn’t have to lift a finger! Your service throughout this process was incredible, Bruce. You offered stress-free service, and that’s extremely difficult to come by when selling a property. We want to express our appreciation to Bruce and his very special staff for the excellent representation we received as sellers of our Desert Horizons property. 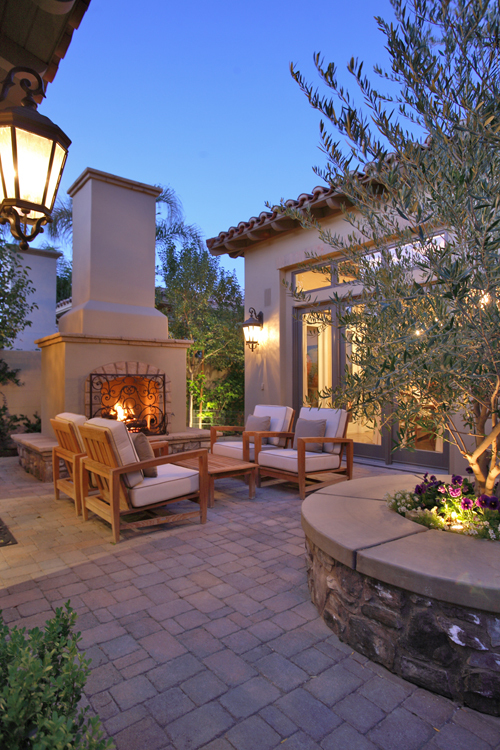 Bruce’s personal knowledge and vast experience in the greater Indian Wells real estate market were a great asset. But his personal integrity and unqualified professional approach to all aspects of the representation process had to be of even greater importance and value. In my numerous years as a real estate broker and manager, I have not come across a Broker as thorough and complete as Bruce Blomgren. Some real estate agents are great at finding a client the home but then fall off the face of the earth when the escrow opens. Other agents may lack in showing and sales skills but are proficient and reliable at managing the countless schedules and timelines of the escrow. Bruce has an unmatched ability to excel on all of these fronts. He is always on top of the local inventory, efficient in educating his clients on the market, and possesses a unique gift of explaining all of the tedious tasks and legalities inherent in every transaction. I have worked with Bruce for over a decade and consider him to probably be the most thorough professional in real estate sales I have ever come across. Leo and I would like to thank you for the excellent service you provided when we recently sold our home on Clancy Lane. As our Listing agent, you and your team were very instrumental in helping to make this a smooth transaction. You were there from start to finish guiding us throughout the process. With today’s market being a bit difficult, we truly appreciate the time you spent in showing and marketing our home. This all met with a successful sale, and we truly appreciate the work involved. You were recommended to us by another realtor, and, in turn, we would highly recommend you to anyone in the market looking to sell or buy a home. My wife and I met Bruce Blomgren ten years ago when he sold us our home at Desert Horizons Country Club in Indian Wells. Since then, Bruce has represented us in sales at both Bighorn Golf Club in Palm Desert as well as in our current home in Indian Wells. In our experience with Bruce, we have always considered him to be knowledgeable, imaginative and extremely thoughtful to the needs of his clients. We have referred Bruce to many of our close friends who have also found Bruce to be a consummate real estate professional and genuine individual. Jeanne & I consider Bruce a close friend and strongly recommend his services to anyone looking to buy or sell in the desert. In the years that we have known Bruce, we have always found him to be an industrious professional who went out of his way to help us both buy and sell property. Knowing Bruce both professionally and personally, my husband and I agree that he is probably one of the most sincere and genuine real estate brokers we have ever come across. Having enjoyed his easy-going personality and incredible knowledge of the local real estate market, it’s no wonder that Bruce is considered the top real estate broker in the Coachella Valley. Thanks to you and your Team for getting our house sold quickly in this somewhat difficult market. And, thanks especially for all the time you spent and how understanding you were when dealing with my fanatical scheduling! We had a lot of fun working with you. Prior to shopping for a home in the desert, I was referred to Bruce Blomgren by a close friend. After spending a short time with my wife and me, Bruce accurately identified our needs and represented us in the purchase of our current fairway-side home in La Quinta. As a long-time real estate Broker and developer, I value Bruce for his professionalism, thoroughness and sound knowledge of the local real estate economy. It were these values that led me to choose Bruce to represent my partners and me in the purchase of raw land in Rancho Mirage. Once again, I was impressed with Bruce’s straightforward and honest approach to market analysis and contract negotiation. Not only did he orchestrate the sale and financing of the raw land, but he assisted in coordinating with the California Department of Real Estate to develop this land into what is now Villaggio On Sinatra – a private enclave of 28 custom home sites in Rancho Mirage. I highly value Bruce’s professional knowledge and approach to his business and would recommend Bruce to my most scrutinizing friends and clients.